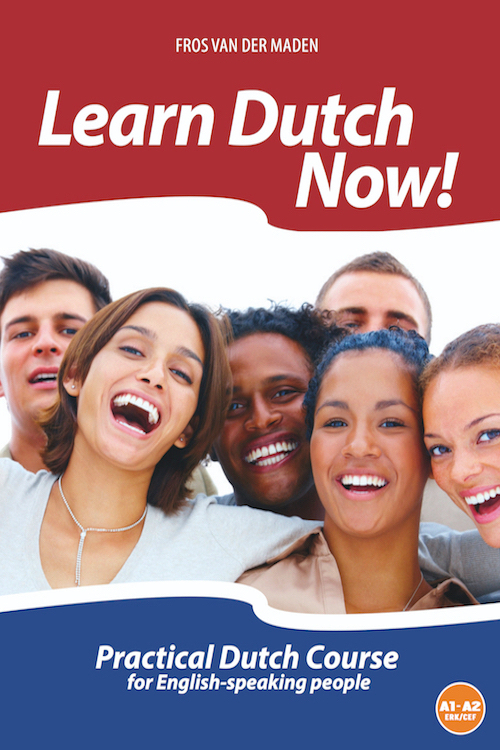 Home > VanDorp Educatief > Learn Dutch Now! The level of the course is CEFR A1-A2. It offers absolute beginners the means to develop their conversational skills and teaches them to write basic texts such as e-mails and to read the texts they come across in every day life. Relevant grammatical knowledge is built up step by step. Note: all audio files can be downloaded here. 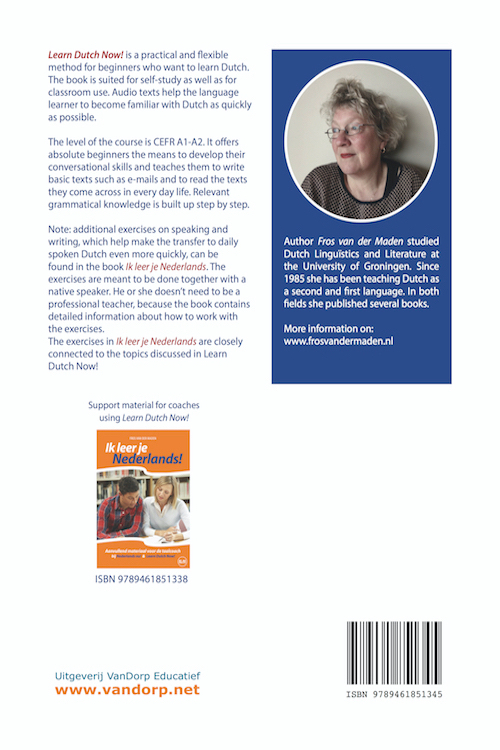 Let op: er is speciaal aanvullend materiaal voor taalcoaches die werken met Learn Dutch Now! beschikbaar onder de titel Ik leer je Nederlands!